Part of our warehouse. 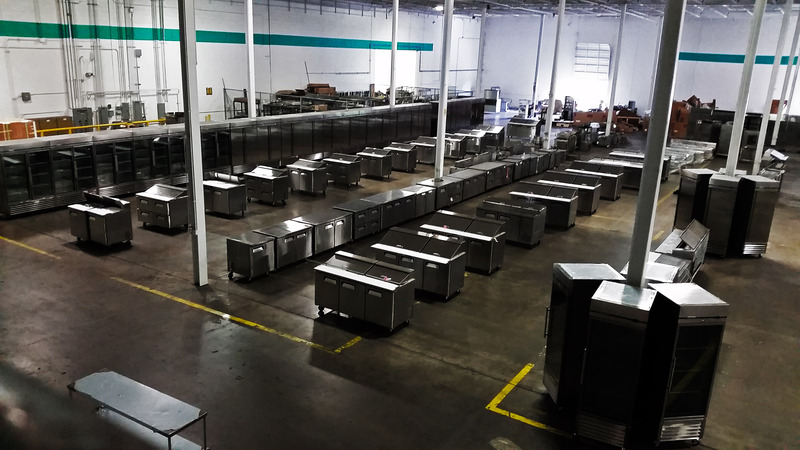 Did you know we have isles of new commercial refrigeration units, such as prep tables and reach-ins, ready to go? This means you can get everything you need for your restaurant and food truck from one place, and get great discounts as well. Whether you’re looking for new or used, we can help you get what you need for your food concept. If you are interested, go ahead and call us at (407) 480-3409 or visit us at 2416 Sand Lake Road in Orlando to get started.